Trademark infringement can get ugly but Jack Daniel's actually used it to their advantage. And they still managed to enforce their trademark. The company sent a cease and desist letter to author Patrick Wensink whose new book's cover looked an awful lot like the iconic whiskey label. The letter wasn't mean and it didn't make any unnecessary demands on Wensink or his publisher. It didn't even have a whole lot of legal terms besides those needed go get the point across. 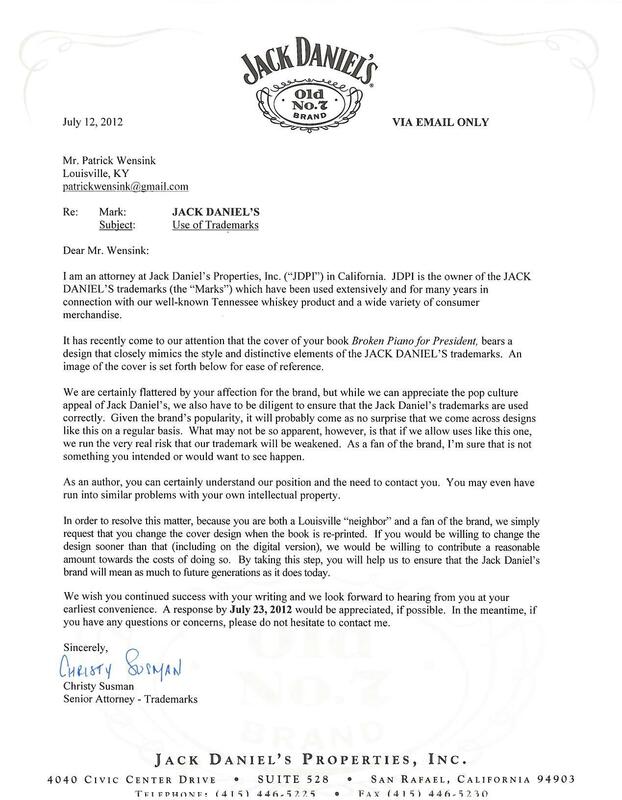 The letter was polite (even bordering on friendly) and at the end of the day Jack Daniel's ended up on top without having to spend a penny on a lawsuit. A trademark owner has certain rights and it's important to enforce them against potential infringers. Failure to enforce trademark rights can weaken the trademark and you could eventually lose the protection it gives. But enforcing your rights doesn't have to mean being nasty. Not only did Jack Daniel's get what they wanted, but Wensink put the letter on his website and the company's friendly approach has earned them lots of free publicity. Sure lawyers get a bad rap for being officious and sometimes downright mean. But as Dave Gooder, managing director of the chief trademark counsel for Jack Daniel's showed: politeness can be just as effective in a legal dispute. Most good lawyers can help craft a pleasant cease-and-desist letter in the case of infringement that still means business. If the first letter isn't effective, then it might be time to consider a more forceful approach but in most cases it can wait until then. 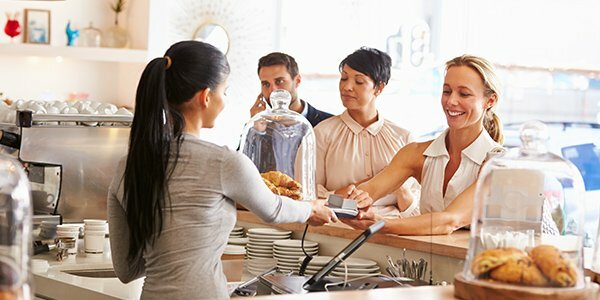 With the instant publicity of the internet, polite responses to potential trademark infringement are even more important for small businesses looking to protect their image. Jack Daniel's story shows that you can protect your intellectual property and still come out looking like the good guy. So in the case of trademark infringement take a cue from Jack and say it with a smile before you say it with a scream.